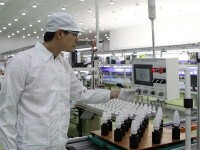 The Japan International Cooperation Agency (JICA) has helped the central city of Hue implement a project to improve its water environment since 2008. 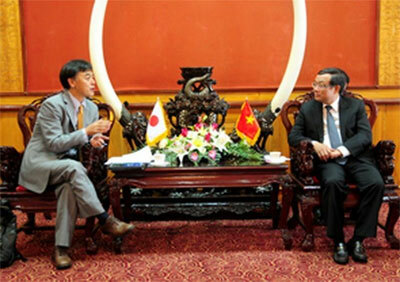 At his August 14 working session with JICA Chief Representative in Vietnam Mori Mutsuya to review the project implementation, Chairman of the provincial People’s Committee Nguyen Van Cao thanked the Japanese side for its assistance, which he said has significantly contributed to the local socio-economic development. The JICA-funded project has a total investment of 4.2 trillion VND (200 million USD), aiming to improve and expand the city’s rainwater drainage and waste water treatment systems to 2020. The first phase of the project has been carried between 2008-2018 at10 wards in the southern area of the Huong River while the second phase will make feasible plans and detailed designs for the completion of the city’s water supply and drainage system. Committing to ensuring the progress of the project, the provincial leader expressed hope that the Japanese Government and JICA in particular will continue to support the province in this field as well as strengthen collaboration in other realms such as health, culture, education and heritage conservation. For his part, Mori Mutsuya praised the coordination of the local government in deploying the organisation’s projects and asserted to further boost the partnership between JICA and Thua Thien-Hue province. JICA will start the project’s second phase, implement plans for flood management in the province and send experts to study the province’s flood condition this November, he said./.